Designed to coordinate with my 'Zoo-pendous!' 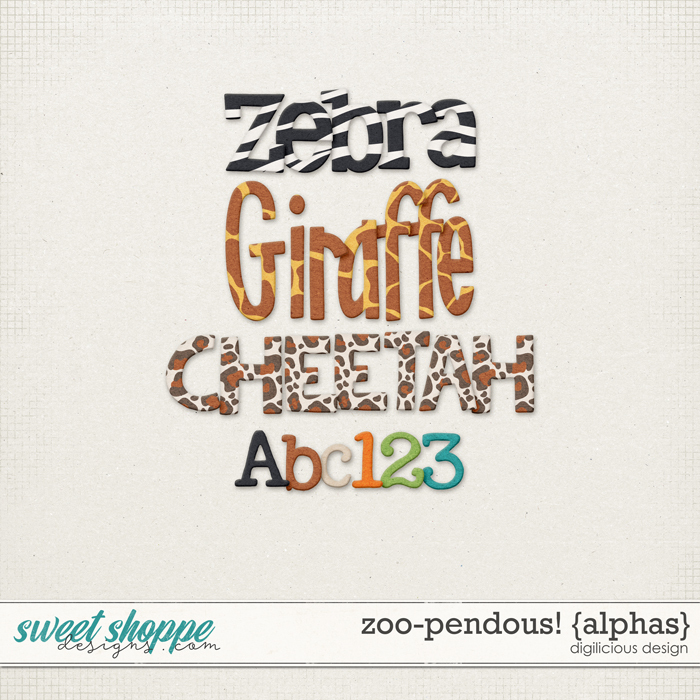 Collection, this pack is perfect for everyday projects, and layouts featuring zoo trips, safari's and animals! Contains 4 styles of alpha as shown.